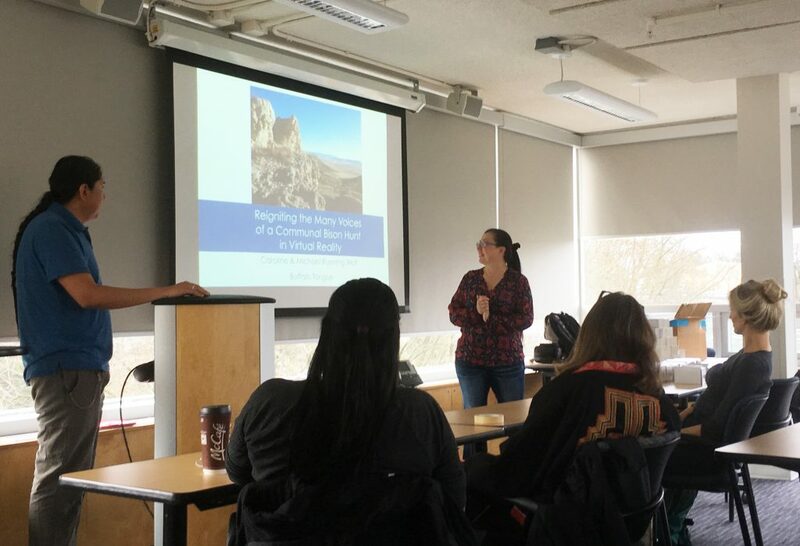 Together with colleagues in the Institute for Critical Indigenous Studies, FNEL had the pleasure of hosting Caroline and Michael Running Wolf for a series of enriching and engaging talks about their innovative research and community work in Montana. 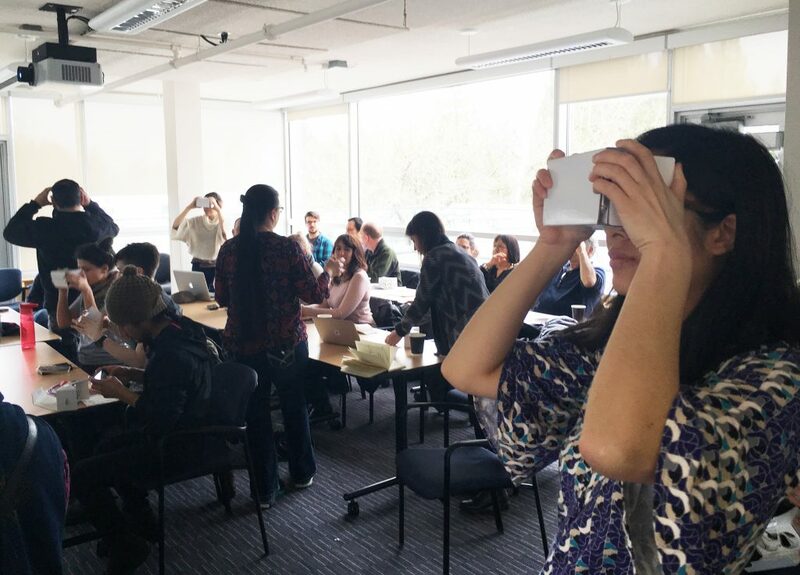 In addition to speaking with FNEL and FNIS classes, Caroline and Michael gave a public talk entitled “Augmented and Virtual Reality for Cultural and Linguistic Continuity: Reigniting the Many Voices of a Communal Bison Hunt.” During this talk, participants enjoyed using Google Cardboard with their smart phones to experience Caroline and Michael’s work-in-progress on a virtual reality showcase of an endangered hunting site, the Madison Buffalo Jump, and its relationship to Indigenous peoples throughout Montana. Caroline and Michael co-founded a nonprofit, Buffalo Tongue, Inc., to apply technology to endangered Indigenous language revitalization.